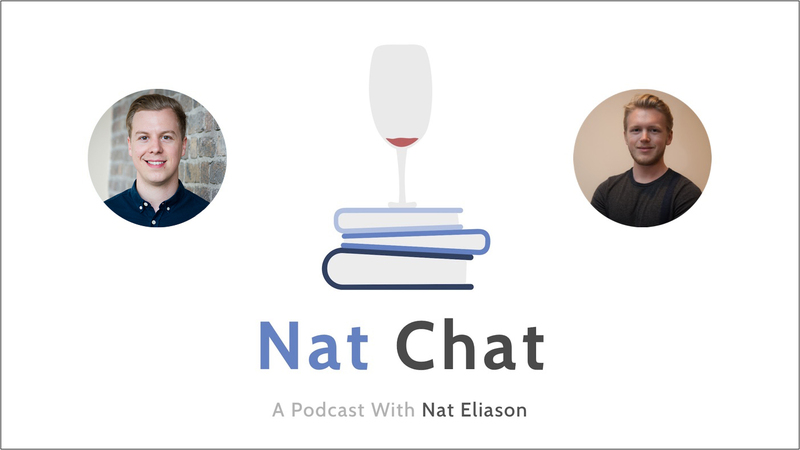 In this episode of Nat Chat, I’m joined by Matthew Barby. Matt leads the global Growth and SEO strategy for HubSpot, a public company with thousands of employees, and has one of the best marketing and startup growth blogs on the Internet. He got that job when he was just a few years out of school because he worked relentlessly to master the kinds of marketing work that ended up getting him noticed there. He was working with a small agency, out of a shed as he puts it, and hammering away at trying to get sites more traffic day and night and learning everything he could along the way. For anyone who wants to know how they can quickly develop a valuable skillset and reach the top of their field… Matt is a great guy to emulate. And a ton more. Please enjoy, and reach out to Matthew on Twitter! If you enjoyed our discussion on reaching out to others, you should check out my episode with Chris Chaney, my episode with Charlie Hoehn, and my episode with Justin Mares. If you want to learn more on becoming happier, you may like my episode with Angela Ma. 1:33 – Intro to Matthew, him detailing a few recent travel experiences for HubSpot. 5:45 – Matthew’s recent speech at MozCon on running growth, failure, and SEO. 8:38 – What Matthew does for HubSpot and him discussing a bit about the company. 10:52 – How Matthew achieved his senior role at HubSpot while still reasonably young. 17:40 – Matthew speaking on how he learned to navigate a much larger company and on the learning curve he faced. 19:44 – Matthew’s process for finding people to gain new insights and information that are in similar company roles as himself. 23:30 – Advice for reaching out to others and tips for reaching out to others in similar fields as yourself to drastically improve your expertise. 28:57 – Nat and Matthew on SEO and their advice for learning SEO techniques. 32:33 – Matthew’s detailed process for assessing whether certain SEO techniques work or don’t work. 37:29 – Framing failures more as knowledge and education, instead of setbacks. Matthew also giving advice for setting goals and on high risk/reward situations in your job. 41:53 – What Matthew did before he received a job at HubSpot and how he learned to be highly proficient in SEO. 47:10 – How Matthew gained to confidence to go through a more difficult career approach after college and him speaking on the importance of persevering through hardships early on to have a larger payout in the future. 50:40 – Nat and Matthew’s advice for becoming happier with less and comparing yourself to others less often. 57:15 – Wrap up and where to find Matthew online.